In 1803, Napoleon Bonaparte needed money. Why? It was peace time, and he was preparing for a new war with Britain. He wanted to invade England, but had to destroy the Royal Navy first (he never did). So Napoleon needed money to build up the French fleet and create his famed Grand Army. Taking stock of the stuff in his new empire, Napoleon decided that the quick way to get some money would be a sale. Not a garage sale. A land sale. The Americans were willing to negotiate and buy.Who Do You Really Want As Neighbors? 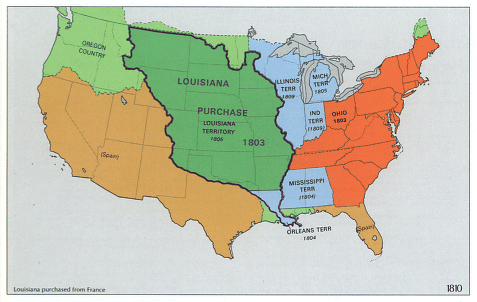 In the 18th Century, Spain, France, and Britain had territorial holdings in North America. While the United States solidified its Constitution and government, important world events exploded in Europe. The French Revolution (began in 1789) rocked the European Continent and was quickly followed by “Madame Guillotine” and the Reign of Terror. 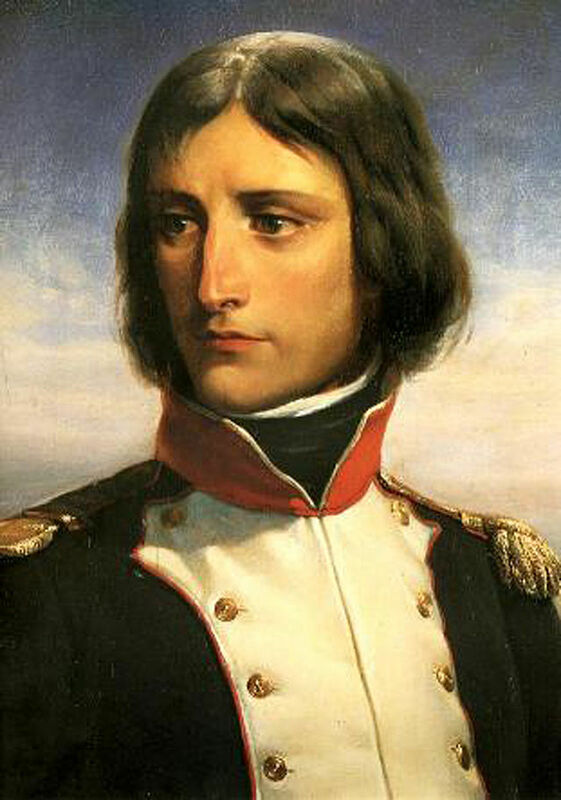 French “government” changed almost as rapidly as the seasons, and an ambition artillery officer – Napoleon Bonaparte – eventually seized power. In 1800, Spain didn’t want to make France and Napoleon too angry. Secret negotiations began; Spain would return Louisiana to France in exchange for a tiny kingdom in Italy – never mind what the United States might want. Two years later it was official. Spain would give Louisiana to France. Thomas Jefferson was worried. Napoleon was not going to be a good neighbor. That guy would probably send over an army or two (when he had the time and money) and see how much land he could seize. Having Napoleonic Empire territory next door to the newly-founded United States did not seem like a good plan. In 1802 Robert Livingston was the American ambassador in Paris, and he was keeping President Jefferson informed of the not-so-secret deals. 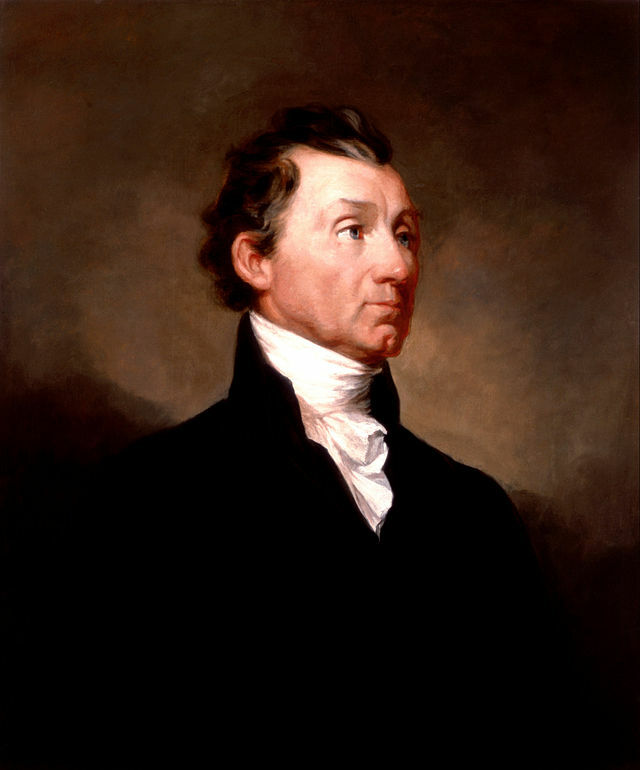 James Monroe – an American diplomat (and future president) was sent to France in January 1803 with permission to use $10 million to secure a land deal and hopefully keep Napoleon out of continental North America. The purchase was announced in the United States by Thomas Jefferson on July 4, 1803, and in the following months, the details were discussed and Congressional approval was sought. On October 20, 1803, the U.S. Congress ratified the agree. Spain got the little European kingdom and officially gave Louisiana to France. France transferred possession to the United States on December 20, 1803, and the U.S. officially took possession ten days later. The United States had just got a lot bigger. And no one really knew what was in the new territory. (Some people actually thought that wooly mammoths still lived out there.) Thomas Jefferson needed someone to explore the land. His friend Mr. Lewis was always fond of an outdoor adventure and agreed to lead an expedition. Lewis realized he would need a trusted “co-commander” to help lead the expedition, and – with the president’s permission – invited his friend Mr. Clark to go along. The Corps of Discovery was formed and would spend two years (1804-1806) exploring the American West…their findings? Best land deal ever.